There are endless reasons to visit Thailand, and you could spend a lifetime exploring everything that it has to offer visitors. But something that really stands out when most people think of ‘The Land of Smiles’ is its collection of stunningly beautiful islands. Millions of tourists fly in every year with the sole intention of kicking back and enjoying the laid-back island life. And you can’t blame them. They truly are exceptionally beautiful, and pretty much fulfill every cliched daydream you can think of. White pristine sands, sparkling emerald waters, colorful sea-life - the list goes on. However, as their popularity grows, so inevitably does the overcrowding. Many of the once idyllic spots are now, frankly, overdeveloped. Prices have gone up, crowds have increased, and they have lost much of the charm that brought tourists to them in the first place. Don’t think that all is lost, though. Thailand is truly blessed when it comes to the island stakes - there are well over 1,000 of them in total - so you still have plenty of options if you’re looking for a more relaxed, authentic experience. So, whether you’re going on vacation or looking for something to do after spending time as a volunteer in Thailand, here is a list of some of the most underappreciated islands in Thailand. Ko Surin actually refers to two islands (Ko Surin North and South), and a few tiny islands surrounding the larger two. What makes the area so special is that it’s legally protected as a national reserve - Mu Ko Surin National Park. The national park status limits development and tourist numbers. This means that people who make the effort to visit can enjoy the fabulous scenery and rich array of wildlife without high-rise hotels and massive crowds spoiling the atmosphere. The waters around the islands are probably the most enticing feature. The snorkeling and diving are world-class, and you can see all kinds of tropical fish, sharks, and turtles. Much of the mainland is off-limits, but there are still some great spots where you can enjoy the wildlife. This small island is located right next to Ko Tao. Much like it’s more famous and larger neighbor, it is also well-regarded for its diving and snorkeling. The waters are often crystal clear, and there are some excellent spots to enjoy the underwater world. The diving is also considerably cheaper than most places in the world, so you can save money if you want to get a PADI qualification here. To add to the appeal, Ko Nang Yuan is far less crowded than the more developed surrounding islands. There are very few accommodation options, and it’s the ideal place to get away from the lights, bars, and music that usually accompany island life in Thailand. 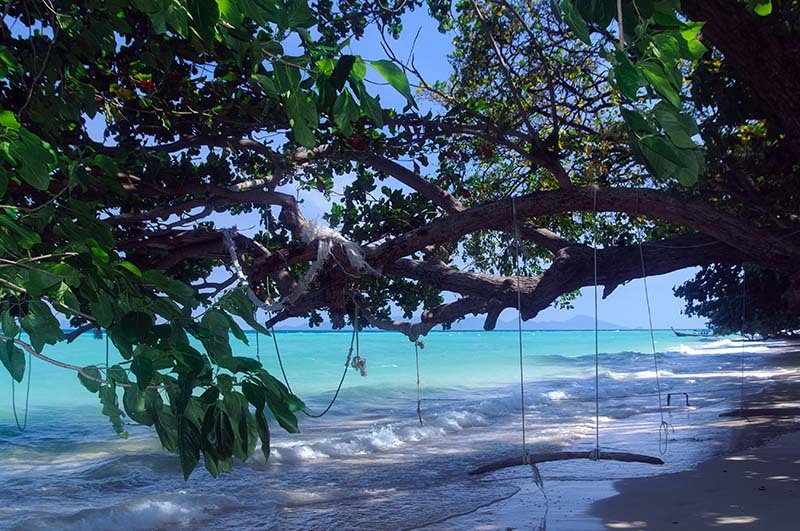 Koh Kradan is another great choice of an island if you’re looking for peace and quiet. There are fewer tourists and less development, so you can enjoy your surroundings without the crowds. 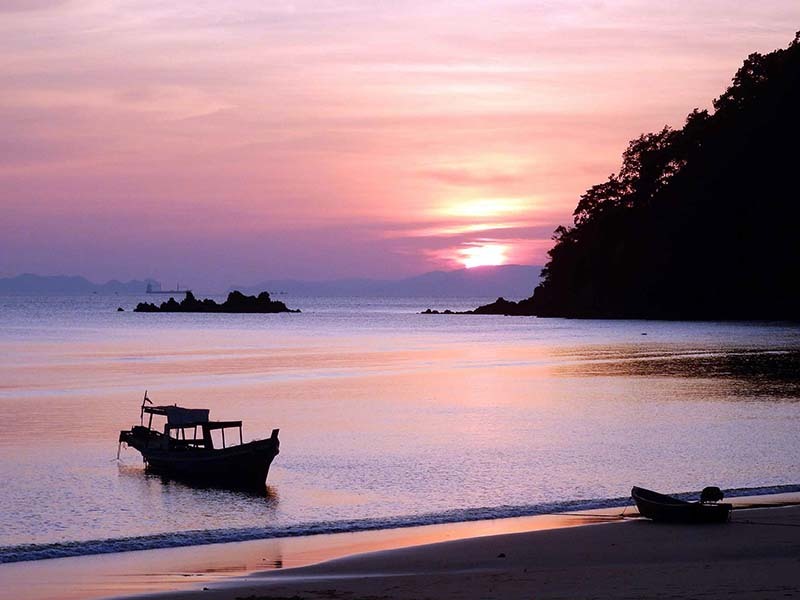 The island itself is situated close to the much busier Koh Lanta. A section of it is actually a nature reserve, so you can see the local animal and plant life in an authentic way, untouched by development. Off one of the major beaches is a great reef for snorkeling, and there are many opportunities to get great views of the several other islands that sit in proximity to Ko Kradan. Ko Phayam is situated a few kilometers from the popular Ko Chang, off the coast of Ranong province on the western side of Thailand. However, it is far less busy and developed. It’s a wonder that Phayam has remained so unspoiled by tourism, given the fact that it really is exceptionally beautiful. Many visitors cite it as the most beautiful island in Thailand, and spending a few days exploring on a motorbike is a fabulous way to spend a holiday. Besides exploring, the island is a perfect place to relax on a picturesque beach, eat some delicious Thai food and swim in the calm warm waters. You can also try diving, snorkeling, and a range of other water sports like kitesurfing. 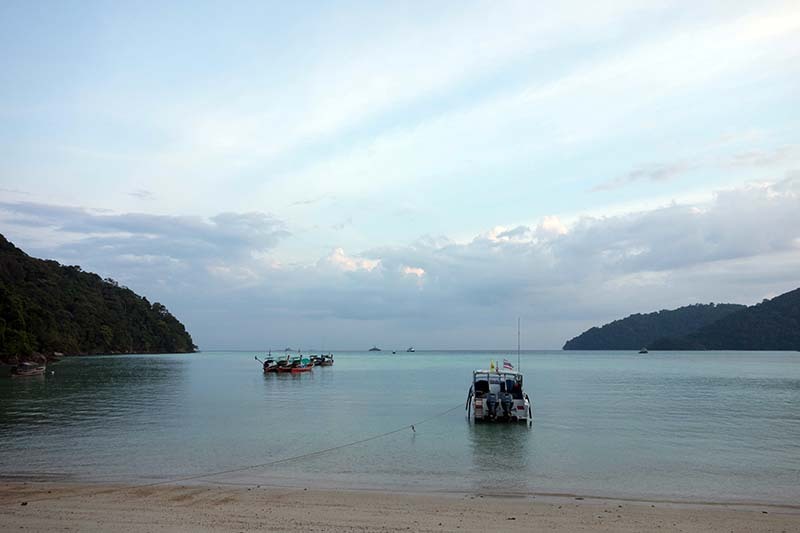 The island of Ko Adang can be found right next to the more popular Ko Lipe. Ko Lipe was once a hidden gem, and is still a great place to visit, but has grown massively in popularity and probably wouldn’t qualify as an ‘underappreciated island getaway’ any longer. Ko Adang, on the other hand, is still very much overlooked by most visitors to Thailand, which is strange as it’s blessed with natural beauty in spades. There are fabulous beaches, magnificent viewpoints from the numerous mountains, cascading waterfalls and more. Part of the reason that Adang is still so unspoiled is the fact its part of the Mu Ko Tarutao National Marine Park, so development is restricted and the natural jungle is protected. As an added bonus to all the other benefits, If you choose to spend some time with us as a volunteer in Thailand you’ll be putting yourself in the perfect position to explore some of Thailand’s best islands. 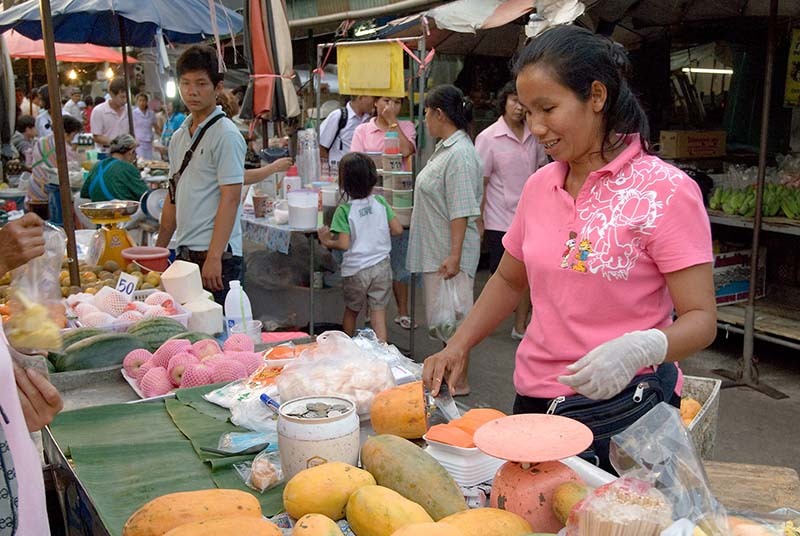 Our Thai volunteer projects are all based in the beautiful Trat province, located in the northeast of the country. Trat is away from the most tourist-filled archipelagos in the south of the country, but still ideally placed right next to some stunning islands. Koh Chang - Thailand’s largest island - is around 30 minutes from where our projects are based, so you’ll have no excuse not to visit! To add to this, the excellent islands of Ko Mak, Ko Kut, and many others can be reached with very little effort. Don’t get stuck in the tourist traps! This list is by no means exhaustive, and Thailand is teeming with incredible islands that are far from being negatively affected by overcrowding and unrestricted tourism. So remember, there’s no need to get caught in the trap of visiting the classic tourist islands like Ko Phangan, Ko Samui, and Ko Phi Phi. Stray from the beaten track, consider volunteering in Thailand and discover a more authentic side this incredible country. You won’t regret it.